My grandmother had told me of her grandmother, Ronia Lazovnik Bajcz/Baich. She also mentioned Ronia's brother Shaya Lazovnik, but she didn't tell me much of anything about him or his family. But now, thanks to a new document that appeared in Yad Vashem's database, I know about one of his sons, that son's family, and their unfortunate fate. 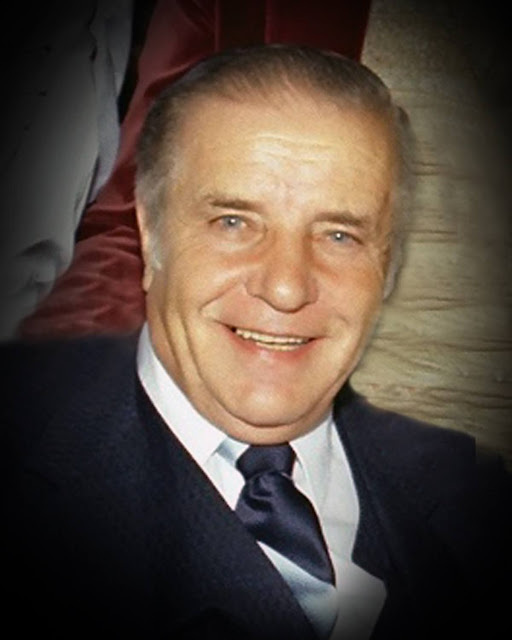 I've written several times about my grandfather, Paul Diamond, who used false papers to pass as a Ukrainian during WWII. I recently received an email from a man who is researching the Jews from the village of Kupichev--which repeats some of my grandfather's story from the perspective of one of the people he saved. Have you ever had issues getting access to records that should be available by law? Did you just give up? Well, Brooke Schreier Ganz didn't give up--she began filing Freedom of Information requests and (when that didn't work) lawsuits. And she's been winning. Here's an interview I did with Brooke who founded Reclaim the Records to help get genealogists access to critical records. She talks about her past successes, what she's working on now, and what's in the works. Enjoy! On Thursday, I woke up super-early to get a tour of the (enormous) expo hall which was still slightly under construction. There are hundreds of vendors, from the large genealogy companies to very small niche organizations. You could seriously spend all week here and not leave. 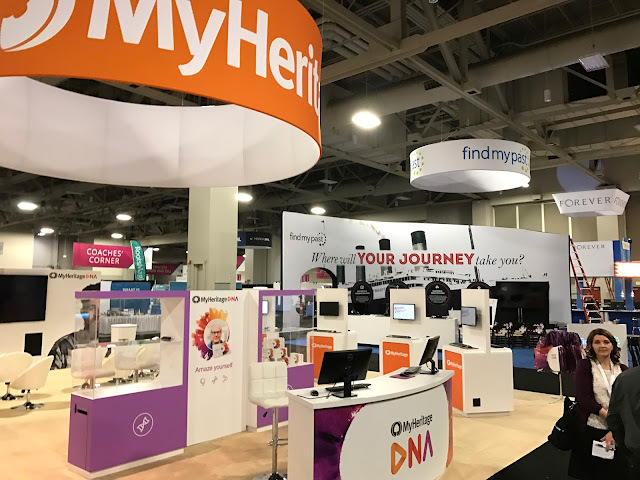 I've been at RootsTech for the past few days, and it's been a whirlwind (in a good way). 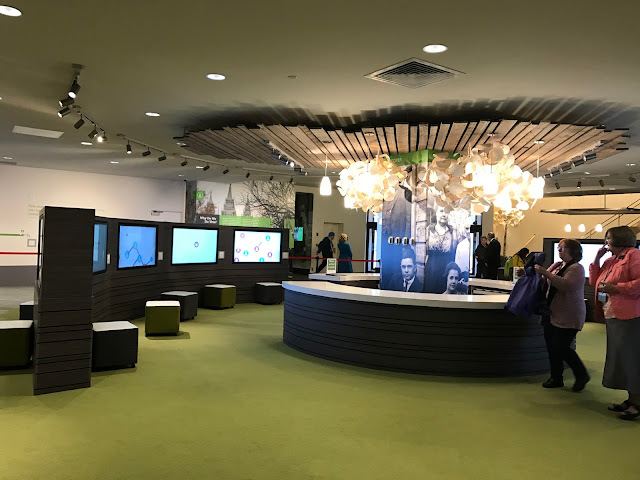 On Tuesday, I went to the new (just opened this week) Family Discovery Center in the Family History Library. Nearly a year ago, I wrote about Samuel Soupcoff, and my quest to find his town of origin, as it may help track my Supkoffs further back. 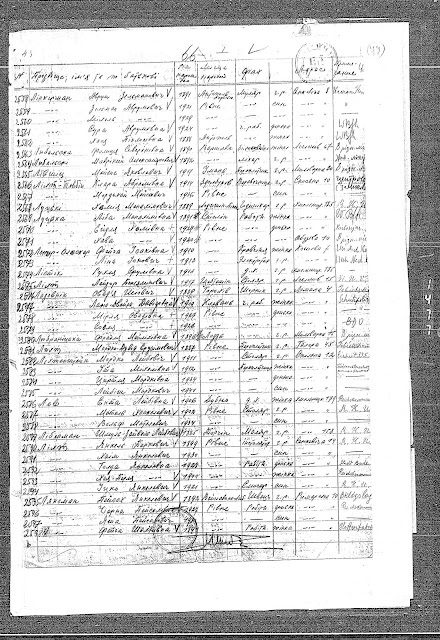 Samuel was quite prominent in Salt Lake City, with his 1919 passport application including an affidavit from the then-governor of Utah, attesting to his good character. The passport actually mentioned a town, but I couldn't figure out where it was located--and scrawled handwriting didn't help matters. I haven't had much documentation on my Garber family. 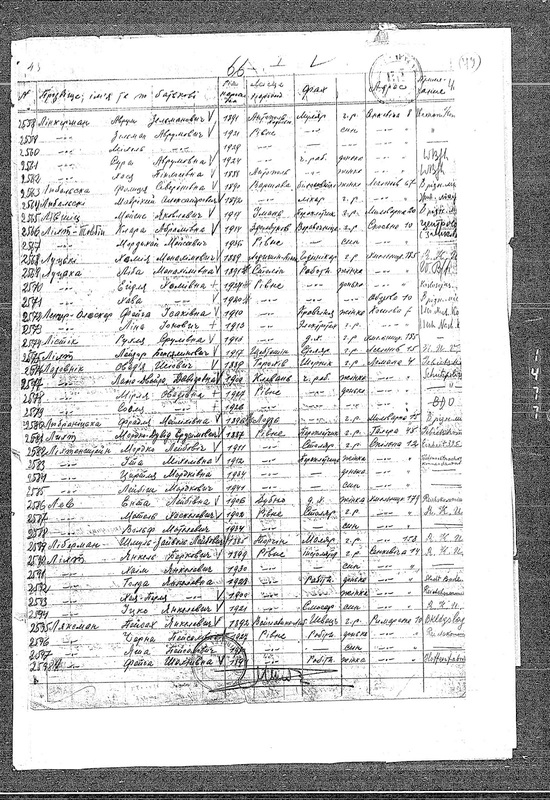 Per my grandmother, her maternal grandmother's name was Devorah Garber Fine who died around 1935 in what's now Shklyn, Ukraine. Devorah had a brother Nathan who came to America, and his descendants were some of the few relatives that my grandmother had after she survived the Holocaust. Since Nathan died in America, I was able to find his gravestone and death certificate and learned that my great-great-great grandparents were Chaim Asher and Chaya (nee Veiner) Garber and that they lived in Torchin. But now I have more information about the Garber family.